Smockizzy aka Trap boy from the east brings to you the official audio and video to his blazing track 5 "NO FRIEND ZONE" off his debut Ep titled V.A.D.I.C.T VOL1. This is a liberation song dedicated to basically everyone who has been friend zoned by anyone and is definitely going to be on the lips of every guy out there due to the high rate at which boys complain of this" friend zone". 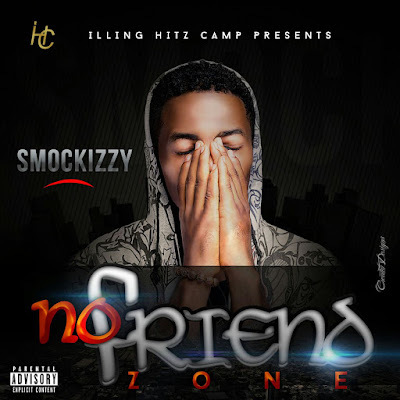 In the song, smockizzy is giving reasons in a corky way why he is not a candidate for the friend zone considering his doings. Lol. Smockizzy is a student of Federal university of Technology, owerri and stands to be the latest revelation from the south east to the music scene.